If you've been wondering about how the mystery behind Geoff Johns' DC UNIVERSE: REBIRTH #1 continues, you'll find out more beginning this April in "The Button," a four part story arc that delivers the next piece of the larger, ongoing puzzle. DC has revealed three of the four lenticular covers for issues #21 and #22 of BATMAN and THE FLASH, with a mysterious fourth cover now throwing a wrench into the gears of this epic BATMAN/THE FLASH crossover! Courtesy of the Batman team of writer Tom King and artist Jason Fabok, along with The Flash writer Joshua Williamson and artist Howard Porter, the two greatest detectives in the DC Universe unite to unravel the mystery behind a certain blood stained smiley face button stuck in the Batcave wall. However, what begins as a simple investigation soon turns deadly when the secrets of the button prove irresistible to an unwelcome third party—and it's not who anyone suspects! This is a mystery woven throughout time—and The Dark Knight and The Fastest Man Alive will discover something completely unexpected along the way! 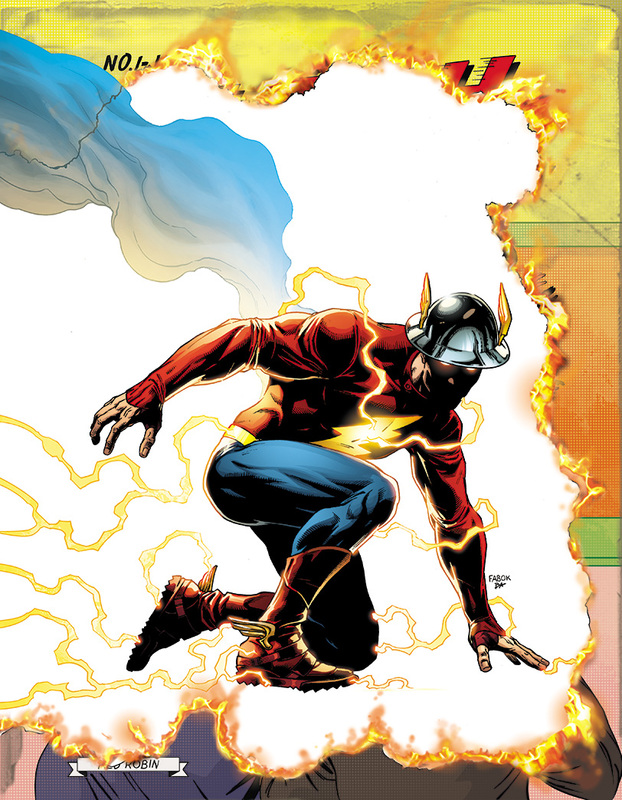 As the lenticular covers have rolled out, we’ve seen Batman, The Flash and Reverse-Flash all change and transform as the image moves from one character to the next. Now, with the reveal of THE FLASH #22’s main image, we see someone not even hinted at in DC UNIVERSE: REBIRTH #1! What does this mean for “The Button,” and who else might show up along the way? The ticking clock starts now… or is it completely smashed?